Fundação Oswaldo Cruz, known as Fiocruz, is attached to the Brazilian Ministry of Health and is one of the most prominent science and technology health institutions in Latin America. The institution has a wide Public Health remit and runs more than a thousand research and technological development projects for the control of infections and other topics related to public health. Fiocruz is the main non-university based institution for training and qualification of human resources for science and technology in Brazil. The site includes several specialist clinical centres, including the National Institute of Women, Children and Adolescents Health Fernandes Figueira (IFF), which carries out an important work related to child health and the Evandro Chagas Institute of Clinical Research (IPEC), which houses the National infectious disease hospital (INI). The Oswaldo Cruz Institute (IOC) houses more than 60 national Microbiological reference units, including the Flavivirus laboratory, and has been one of the leading centres involved in investigation of the Zika outbreak in Latin America. 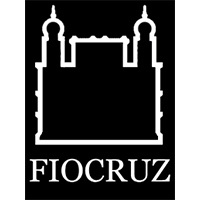 The team at Fiocruz has expertise in Clinical, Virological and Public health research.